Antioch, Zeugma, Göbekli Tepe, Tur Abdin and the colourful, authentic bazaars of the Southeast of Turkey. Antioch, city of the artistic and faithful. Zeugma, the world’s largest mosaic museum, surpasses even the Bardo of Tunis and the Antakya Museum in the ancient city of Antioch. 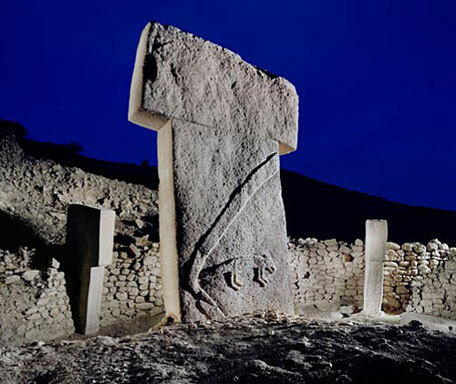 A great mystery lies behind Göbeklitepe. What makes it unique is not the size or beauty of the monuments, but the date when they were built, roughly twelve thousand years ago! The bustling and colourful markets are where one experiences the heart and soul of the Southeast cities which lie between the Mesopotamia and the Mediterranean. The trade routes from the east, west and north that pass that intersect these cities have determined the history of the region’s civilization and its cultural development. Guests are met by a Peten Travels tour manager at the Atatürk Airport and then transferred to their hotel. That evening will be spent meeting your fellow travellers along with your guides while enjoying a drink and sit down dinner. After breakfast we take the morning flight to Antioch (Antakya) where we will spend three nights. Antioch was much more than just a great city of the Hellenic culture, for it was here that their pagan Roman masters first called early followers of Jesus Christ “Christians”. Contemplating the history of Antioch we drive up to the Castle for the panoramic view. Visit the Church of St. Peter where St. Peter held the first early masses and where, amazingly enough, masses are still held today. Nearby you will see the rock-relief of Charon the Boatman of Hell. Look out for laurel soap, oil, silk weaving and stone masonry, are all of which made locally. An excellent impression of these cities’ past glories may be obtained from the wonderful collection of late Roman and Byzantine mosaics in the Archaeological Museum, which is rivaled only to the Bardo Museum in Tunis. The mosaics, fastidiously removed from the Roman villas in the Harbiye neighborhood, date mainly from the 2nd and 3rd centuries. They represent the most extensive and impressive collection of art from the Middle East, and quite possibly the world. This afternoon we explore two important sites on the Amuq Valley near the Syrian border: Tell Atçana (Alalakh) and Tell Tayinat. The Amuq - the classical “plain of Antioch” - is a broad, fertile valley situated near the northeastern corner of the Mediterranean Sea. The lower Orontes River, whose floodwaters have deposited a thick layer of alluvium, flows through this valley. It is bordered on the south and east by the Syrian Arab Republic. We drive south to the Monastery of St. Simeon the Stylite, to pay our respects to the “Man of the Wonderful Mountain” before continuing towards the Syrian border to the ancient city of Seleuceia in Pieria, modern Çevlik. We stop at the village of Vakıflı, the only Armenian village in Turkey. The Church of the Virgin Mary is built by its residents in 1895, and it is still open for services. Continue to the Dor Temple located on a spot overlooking Çevlik (Seleuceia in Pieria). Here we will also see one of the area’s most impressive feats of engineering, the huge underground channel (the Titus Tunnel) along with the rock tombs and cradle cave. The channel was gouged from living rock during the reign of the Roman Emperor Vespasian in the first century in order to divert mountain streams from silting up the port. There are caves carved into limestone rocks in close proximity to the Titus Tunnel Known as the Kings’ Tomb. Our lunch will be at a sea-food restaurant before boarding the privately chartered boat at the port of Seleuceia in Pieria to explore the coves and caves along Mt.Casius (Keldagı). Following our breakfast we set off on our drive through the Amik plain and the Nur Mountains towards the Yesemek Open-Air Museum. 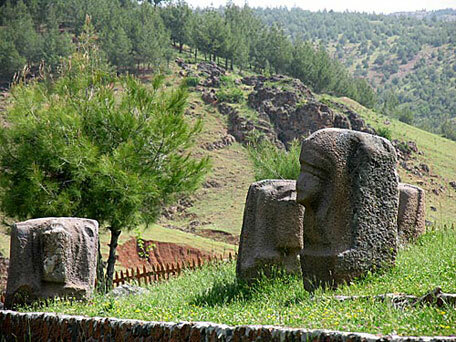 Here we find a vast quarry with 300 Hittite stones and statues in various states of completion lying in the fields. We continue to the Tilmen Höyük, a forgotten capital city dating back to the Late Chalcolithic Age (3400-3000 B.C). After a short drive we are at the site of Zincirli Höyük where buried are extensive ruins of the ancient walled city of Sam’al, nestled in a fertile valley surrounded by heavily forested mountains. A number of significant finds have already been unearthed. An inscribed pictorial stele commemorating a royal official, “Kuttamuwa, servant of (King) Panamuwa,” was found by the Neubauer Expedition in a newly opened excavation area in the lower town. This important discovery, which reveals new aspects of ancient religious belief and practice, was reported in the New York Times and in Archaeology magazine, which named it one of the “top ten” archaeological discoveries of 2008. Late afternoon we enjoy the Colors of Gaziantep in the Gaziantep Market; one of the most vibrant in Anatolia with every tone of red, yellow and green in evidence. Fiery spices, gleaming copper, blue, red and purple ‘kutnu’ fabrics and blood red ‘yemeni’ slippers. And add to all these the gaily painted doors of traditional Antep houses, walls painted with pictures, and courtyards turned into living spaces. On market days the streets suddenly burst into a rainbow of color. Two thousand years after sinking into oblivion, the ancient city of Zeugma was suddenly jolted awake. 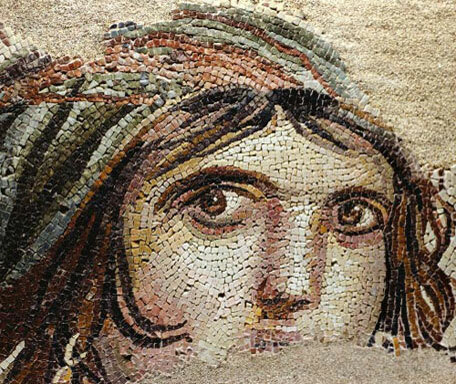 Once one of the world’s largest cities, Zeugma, albeit smaller now, is alive and well once again, this time under the roof of the Zeugma Mosaic and Archaeology Museum - Like fine embroidery these amazing mosaics have a story to tell. In one you find yourself in the middle of the Trojan War, in another enthralled by the Gypsy Girl’s piercing eyes. 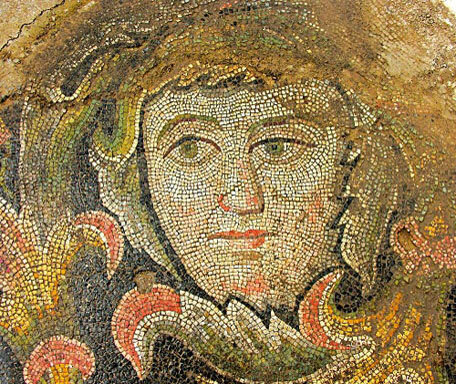 Newly opened Zeugma Mosaic Museum will become the world’s largest mosaic museum due to its diverse collection. The city is known for its cuisine and food culture, so it is inevitable to visit the Cuisine Museum. We end the day at the Gaziantep Castle. Carchemish, an untouched ancient city located near the western shore of the Euphrates River, is one of the most important settlement areas of Near Eastern archaeology. It is located on an important intersection of roads that linked Anatolia to Mesopotamia and to Egypt. The few excavations carried out in the area have revealed that the city had been inhabited since the Neolithic period. The epic of Gılgamesh was portrayed on reliefs in Carchemish from the Hittite period. 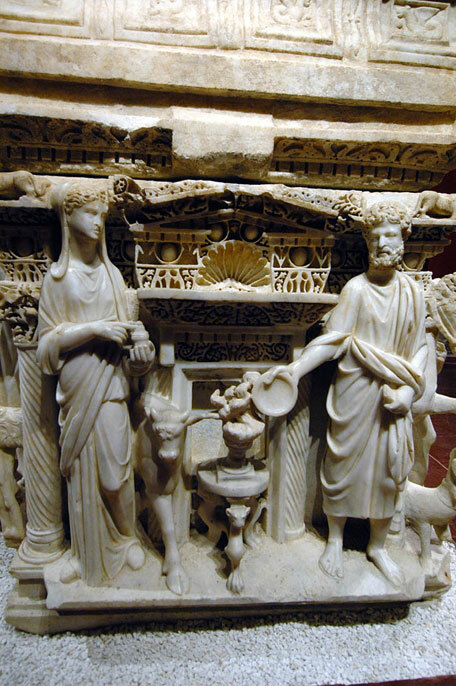 Reliefs uncovered from the site are currently on display at the Museum of Anatolian Civilizations in Ankara. The site is in the military zone, it is an active excavation site. 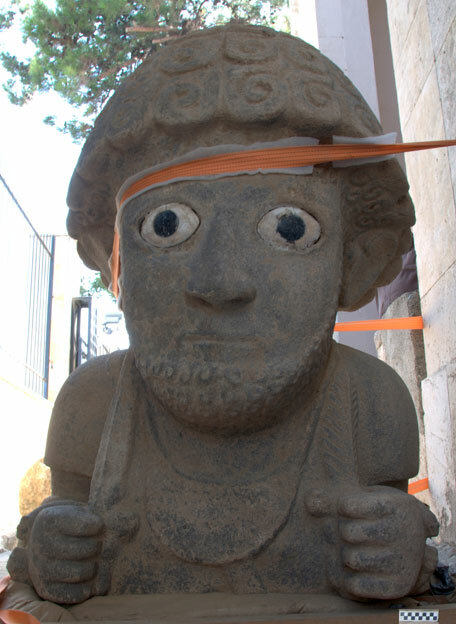 This morning we visit the Urfa Museum to see the world’s oldest statue ever to be discovered until now. 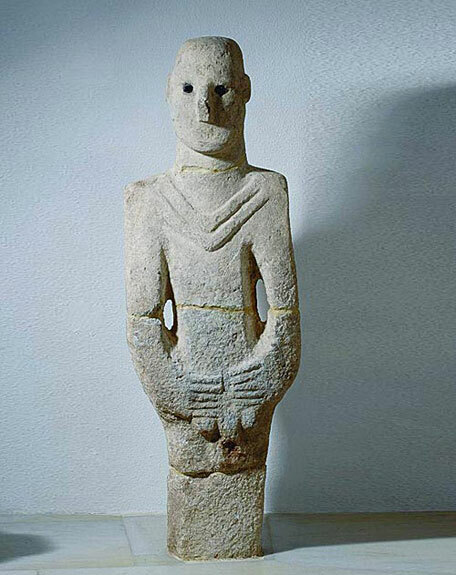 It was named the Balikligöl Statue and represents ‘the God of Eroticism’ or ‘the God of Reproduction’, which was in a Neolithic temple. And then we have a short drive to Göbekli Tepe. It is famous for containing the world’s oldest known temples (dated before 9000 BC) along with its discovery contradicting the long-held belief that the introduction of agriculture preceded the construction of large buildings. Göbekli Tepe was created by hunter-gatherers, yet is assumed to be a key location for understanding the origins of agriculture. 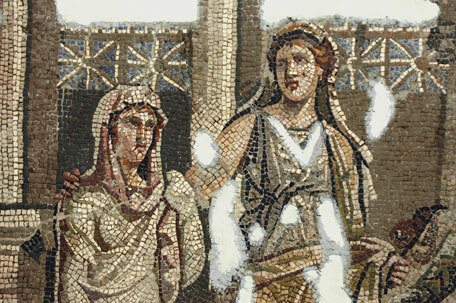 We stop at Haleplibahçe for its newly unearthed, breathtaking mosaics. They were discovered by chance when struck by a bulldozer during an urban infrastructure project. Subsequently rescued in an excavation by the museum, they are now among the finest examples of mosaics in the Eastern world. This morning we drive in the direction of Akçakale to view Sultantepe höyük (mound). During the 8th and 7th century B.C, it was a substantial Assyrian settlement where among the remains are a temple dedicated to Sin, the moon god of Harran. Tablets written in Assyrian and Sumerian covering many subjects including magic, mathematics, medicine, astrology, and prayers are to be viewed. Some tell the story of the Creation and the Flood, while others tell the story of the Poor Man of Nippur and the adventures of the hero Gilgamesh. 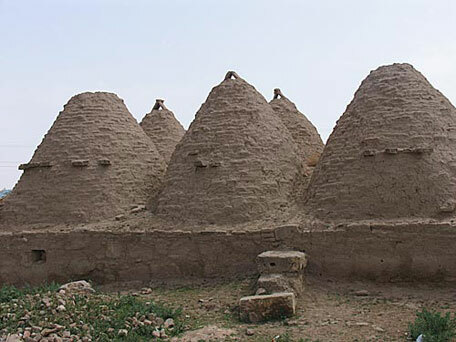 We continue on to the village of Harran (one of the oldest continuously inhabited spots on earth), with its beehive-like dwellings, the design of which goes back to the 3rd century BC and are unique to Turkey and Syria. In addition to these beehive houses, there are the ruined walls, the Ulu Cami and the crumbling fortress that all add up to give the place a feeling of deep antiquity. The remains of the fortress (Kale) date back to around 1059 when the Fatimids restored the original buildings. It is thought that a castle was already standing here from Hittite times. Harran is a pivotal point in the history of the Hebrew people, where Biblical and archaeological materials converge. It was in Harran that Rebecca drew water for Jacob and from where Abraham decided to make his move into the land of Canaan. The Bible (Genesis 11:31, 11:32, 12:4) names Harran or Haran as the place where Terah and his son Abram (Abraham, Ibrahim) and his grandson Lot stayed when they fled from Ur of the Chaldees. Abraham's father Terah died in Haran (Genesis 12:4). 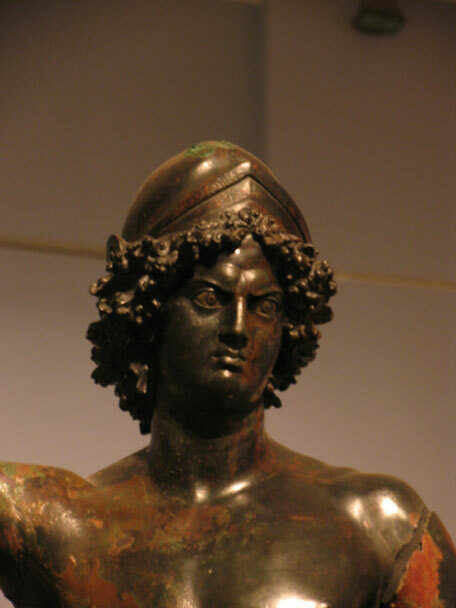 Haran rebelled against its Assyrian rulers and this too is mentioned in the Bible (2 Kings 19:12, Isaiah 37:12). Later, in Roman times Harran was known as Carrhae, and was the place of the famous Battle of Carrhae in which the Roman Emperor Crassus was defeated by the Parthians. In early Islamic times Harran was one of the major cities of the region and was a center for translating works of astronomy, philosophy, natural sciences, and medicine from Greek into Syriac and then into Arabic. We continue our journey 26 km east from Harran where there are the ruins of the Han El Ba'rur, a Seljuk caravanserai that dates back to 1128. Another 12 km northeast of Han El Ba'rur are the ruins of Şuayb, an ancient, partially subterranean, town where once the Prophet Jethro lived. 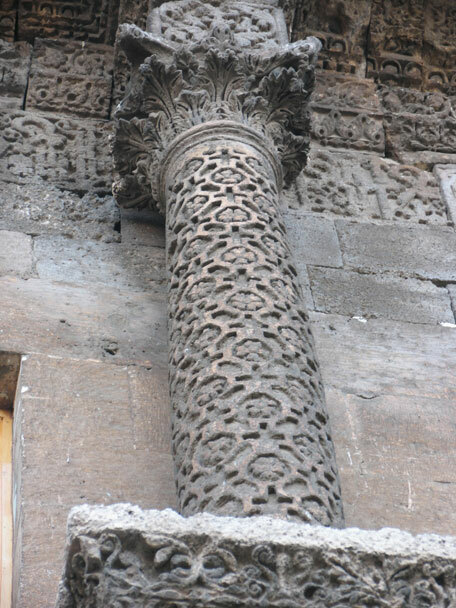 From Şuayb it is 18km north to reach the site of the ancient Soğmatar (also called Sumatar), a Sabian (the Sabians are Arameans) place of worship of the Moon God. The Urfa market with its myriad of sounds, colors and smells immediately draw us in, taking us on a journey deep into the past. We continue to Mardin, home and meeting place of Turkish, Arabic and Kurdish cultures, as well as two religions, Islam and Christianity. The stone houses, reflecting architectural styles closer to Iraq and Syria, are scattered seemingly at random across the steep, rocky side of the escarptment. 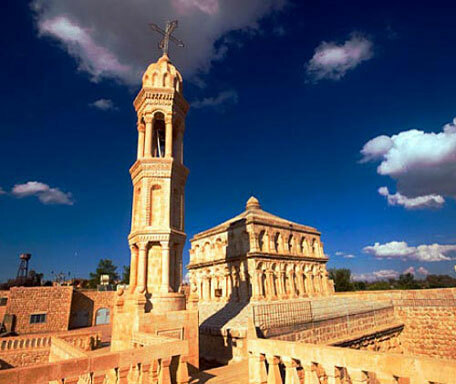 Mardin is the center of an important community of Syrian Orthodox Christians, the so-called Jacobites. We visit the Syrian Orthodox monastery of Deir-al-Zafaran (‘Saffron Monastery’). For many years this monastery was the official residence of the Patriarch of Antioch, the head of the Syrian Orthodox Church (He now lives in Damascus). Continue on to the largest ancient structure, Sultan Kasım Medrese, names after an Akkoyunlu ruler who reigned 1469 to 1503. We visit The Great Mosque, on one side the Vaulted Market, on the other the Coppersmiths’ Bazaar. The greatest joy of Mardin is exploring the unpredictable lanes of the Old City. A large number of fortress-like houses, capable of accommodating an extended family of 40 or 50 around an interior court, can be found in several clusters. The Bazaar area is full of oriental colors, noises, and exotic pungent smells. Dinner is at a local restaurant. The splendor of old times is preserved in this haunting city, whose streets wind around the high walls of chateau-like houses. And the owners of those streets are the children. Listen closely as they whisper a fairy tale of the East. Mardin perches on a bluff above the flat lands of Mesopotamia. 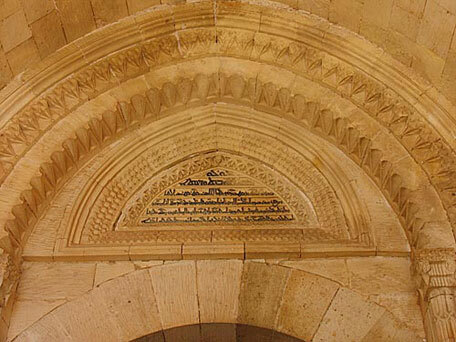 Mardin is the city of the Artukids, traces of whom you will encounter almost everywhere. The minaret of the Great Mosque, one of Mardin’s most prominent symbols, represents the pinnacle of stone workmanship. 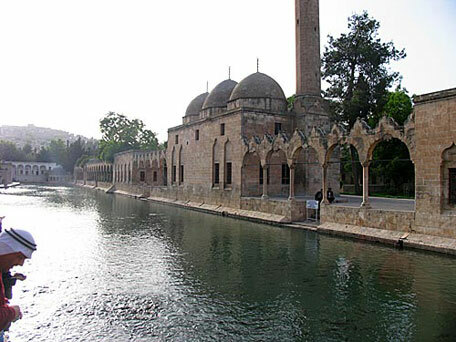 The Şehidiye Mosque with its delicate minaret, the smaller Şeyh Çabuk Mesjid, and the Hatuniye Madrasa are the Artukids’ other gifts to the city. Take a break on the terrace of Şehidiye Mosque to watch Mardin’s famous tumbler pigeons. We visit the Church of the Forty Martyrs, one of the earliest churches dedicated to the martyrs. A short drive to the renowned Turkish fashion designer Cemil İpekçi’s school and atelier founded last year allows us to learn about a social responsibility project to offer much needed job opportunities and scholarships to local women. We end our day at the Mardin Archaeology Museum. This morning we travel to the town of Dara Anastasioupolis. It is known as the second most important border city, after the Southeastern metropolis of Nisibis (modern Nusaybin). The Silk Road, that artery of international trade, ran through it. This capital of the transit trade was at one time even the seat of a bishopric until its importance waned following a period of incessant raids. 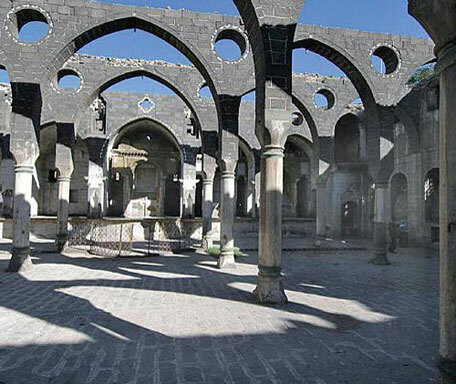 We continue to Midyat, the heart of the Tur Abdin. After checking into our luxury hotel we prepare for our journey to Hah and Ivardo / Ayn Vert, the “village of cathedrals” where we visit the Church of the Blessed Virgin Mary. We shall end the day at the Mor Gabriel Monastery with a meeting with the monks and priests. 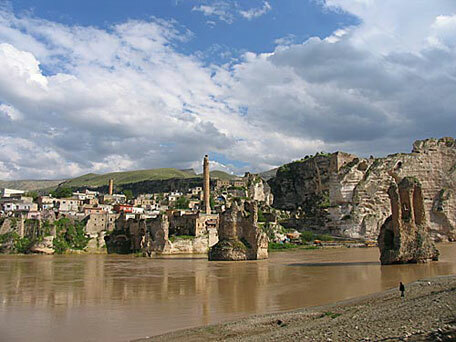 Today we travel to Hasankeyf. The descent from the high plateau of the Tur Abidin to the valley of the Tigris is quite spectacular. 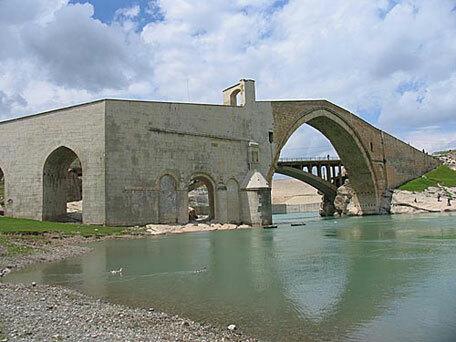 It was here in Hasankeyf, a point where the river passes through a narrow defile, that the Romans built a stronghold and then the Byzantines a bishopric. Hence it has always ranked as an important outpost on the troubled frontier with Persia. It is closed to the visitors; we only view its exterior, which is still impressive. We visit the fine 15th century Zeynel Bey Türbesi, the cylinder-shaped tomb of an Ayyubid king. Continuing to the north along the tributaries of the Tigris we stop at the Malabadi Köprüsü, a bridge, built by the Artukids in 1146 AD. The beauty of its design and its situation will lift the heart of any traveller. Continue to Ziyaret Tepe, the ancient city of Tushhan. Continuously occupied for 2,400 years beginning in the Early Bronze Age, it was an important urban center on the edge of the Assyrian Empire. 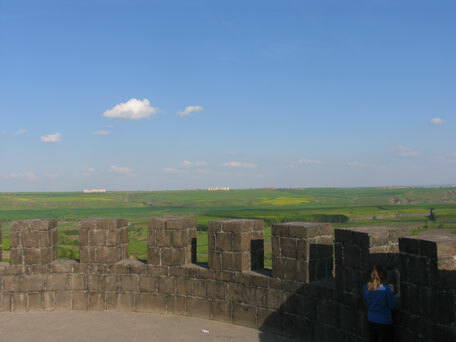 It is then onto the walled city of Diyarbakır, in ancient Amida. The city is located on the basin of the River Tigris and its massive black basalt walls are second only to the Great Wall of China in length, breadth and height. This morning we first visit the 11th century Ulu Cami which ranks both as one of the oldest mosques in Anatolia and one of the holiest places of Islam. Then we find the hidden, small Keldani Church, where Chaldaen Christians of the Syrian rite, who are in communion with the Roman Catholic Church, worship. Then we stop at the Dört Ayaklı Minaret (‘Four-Legged Minaret’) and Meryem Ana Kilisesi, the Church of the Blessed Virgin Mary, which is a part of a large monastic foundation. It has been dated variously to the 3rd, 6th and 7th century AD. The Syrian Orthodox services are conducted in Aramaic, the language spoken by Jesus. The altar in the church dates from the Byzantine period which also reveals several interesting icons. We drive along the city ancient walls and stop at the main gates to view the fertile plain of the Tigris. We visit the Surp Giragos Church, the largest Armenian Church in the Middle East and one of the most important works of Armenian architecture. Continuing to Çayönü, we learn of how very important this prehistoric settlement was in establishing the beginnings of village-farming in south eastern Turkey. The Çayönü excavations are being carried out by the University of Chicago and Istanbul University. Our Farewell dinner at a special restaurant. We take the morning flight to İstanbul so that guests can connect to their return flights home. The itinerary on this trip involves a good deal of walking and rough drives into the wild, allowing us to witness breathtaking natural scenery while visiting the unique historical wonders of Turkey. Good comfortable footwear is therefore essential. It should be pointed out that the tour might not be suitable for passengers who require assistance or who have difficulties with mobility. To fully enjoy this trip, please make sure you enjoy hiking, good local food, photography, cultural interaction and serendipity. Don’t forget to bring your bathing- suit! Professional local guide & art historians and archaeologists from local universities or museum directors. Personal expenses such as beverages, laundry, room service, communication charges.